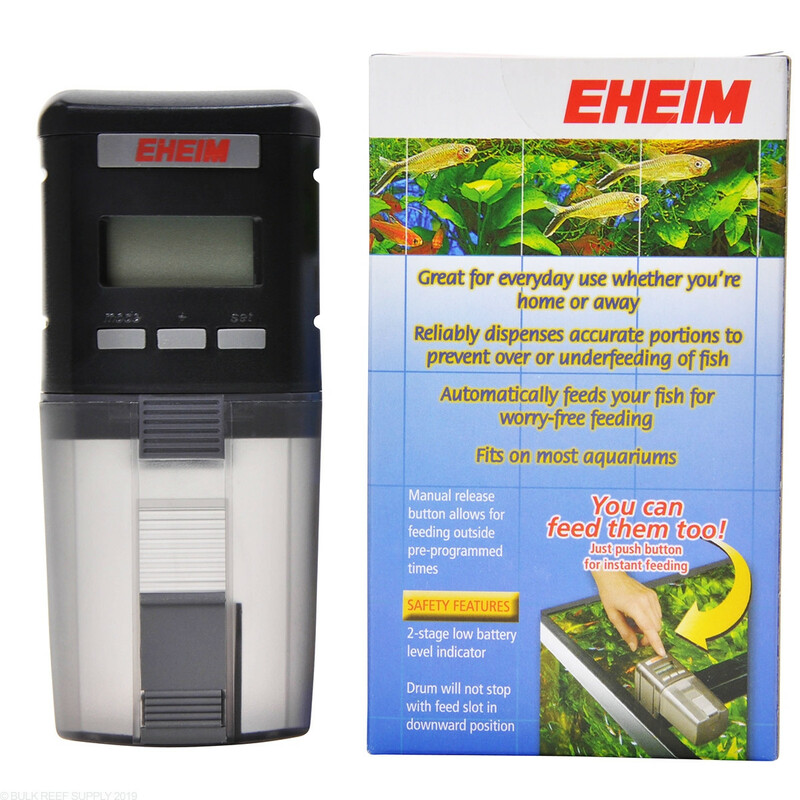 The Eheim Everyday Fish Feeder is our go to automatic fish feeding system. Keeping food dry and dependable dosage amounts creates a great value, to keep your finicky fish eating multiple times a day. The actively aerated feeding chamber gives dry food down to the last flake. Easy programming lets you decide when to feed the fish. Double food dosage is also provided in the programming. Snacks are possible at the press of a button. A warning system informs you of low battery power. Function keys are splash-proof. 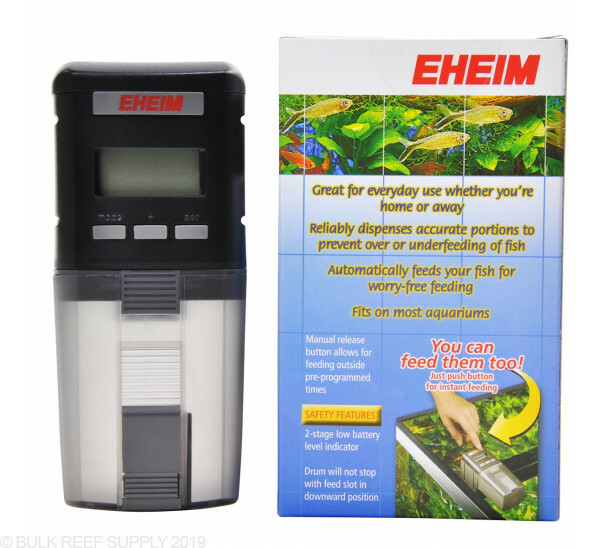 The EHEIM feeding unit feeds your fish on a regular basis. The compact EHEIM feeding unit is operated by batteries (included). The actively aerated feeding chamber dispenses dry food down to the last flake. With simple-to-use programming, you decide when the fish should be fed. Double dosage of the food is also provided in the programming. "Snacks between meals" are possible at the press of a button at any time. A warning system informs you of low battery power. Approximate capacity: 100 mL. An integrated fan and ventilation system eliminates condensation accumulation and keeps the food dry.